My wife checked...fast passes must now be used at the times for which you got them. No more any time. Anyone been to Fuego at Downwn Disney? 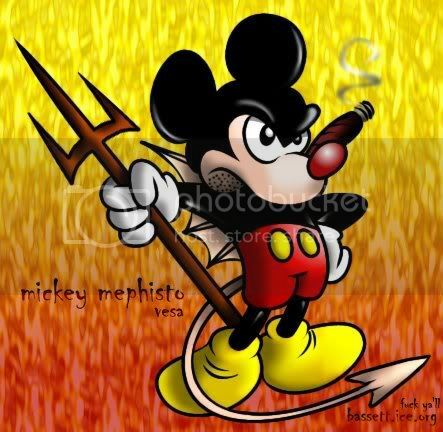 Mickey can definitely have a cigar from me... One from the dark side! Animal Kingdom by far is my favorite of the Disney parks, it's always different because you can't force the animals to wake up from their naps or stop roaming... Last time our safari was stopped because a group of animals were slowly crossing the road. Magic Kingdom is definitely a place for little ones. I say those two are musts to bring your daughter to. Sadly the Fantasyland expansion, which includes Beast's Castle (Beauty and the Beast) won't be open until late this year. They do have the fireworks which is nice and plenty of photo opportunities with Disney Princesses, you just need to check their schedule on the maps. Epcot is more museum like to me, but it's has one of the iconic images of Disney. MGM is enjoyable, but for older kids because there are many kiddie coasters. Disney water parks are quite fun, but I'm not sure how old your daughter is, so it's not a must see. I've actually never been to the Cirque de Soleil show, however I really want to. Fast passes are a must of heavy traffic rides, unless you arrive early and head straight for them. It'll be in the high 70's and low 80's so light clothing, a hat, and sunblock! They'll check bags and strollers, but I do suggest bringing snacks and water as well. Park hoppers are useful if you are quick through the park, but if you plan on staying at one park for that one day then it's not necessary. I've actually never bought tickets at those kiosks and sketch stands that you'll see so I wouldn't know about that, just make sure what the ticket you are purchasing entails. I'm not sure how much time you have either, but I would suggest checking out SeaWorld because of all the water animal shows they do which are fantastic for any age. If you have any time to yourself any cigar property on Disney property is not worth it. Corona Cigars on Sand Lake is about 15 minutes from Disney Resorts. Last edited by ucubed; 02-27-2012 at 12:54 PM.